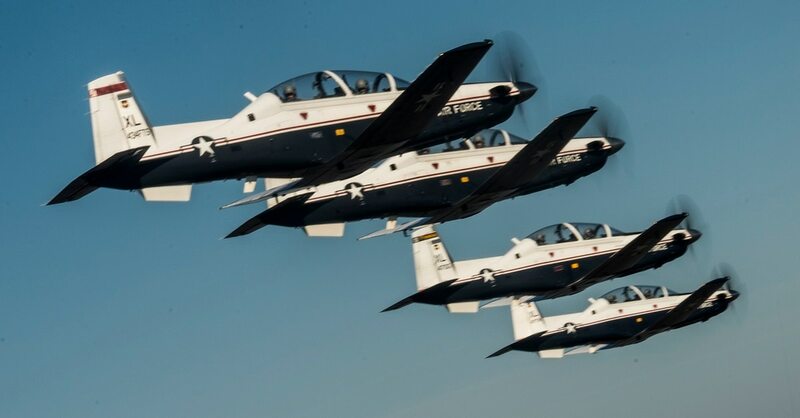 JB SAN ANTONIO-RANDOLPH, Texas — Since late last year, a rash of unexplained physiological events such as hypoxia has caused dangerous breathing problems for pilots of T-6 Texan II training aircraft, and led to multiple groundings. 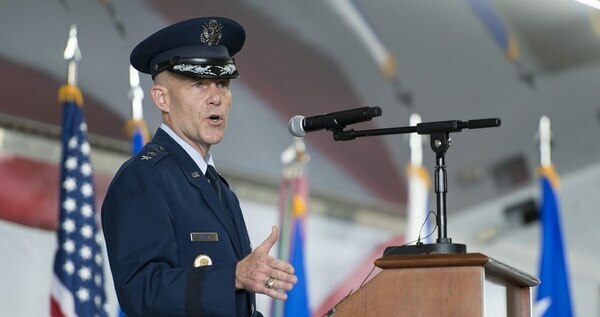 But now, the Air Force is finding more clues, and coming closer to solving the problem once and for all, said Lt. Gen. Steven Kwast, head of Air Education and Training Command. For example, Kwast said the board has discovered that the proportion of oxygen in the air sometimes fluctuates more than intended while T-6s are in flight. “So the question is, what does that do to the human body, when you have a fluctuation of oxygen?” Kwast said. “That’s the kind of work they’re doing as they discover something that is a little … different than what we thought. Because we’re measuring it with more precision; we do the work, the scientific method [to find out] ‘What does that mean?’ ” and what’s causing it. He stressed, however, that oxygen fluctuation is only one of several possible issues the board is looking at, and that it’s too soon to say whether it is actually causing or contributing to the problem. It could also be a combination of factors working together to cause the so-called unexplained physiological events, or UPEs. The UPE problem has been frustrating the Air Force for months, and drawn criticism from lawmakers who have demanded Air Force officials do more to fix it. Most recently, the 559th Flying Training Squadron at Randolph grounded its T-6s for a day in late June after pilots reported problems with the On-Board Oxygen Generating System, or OBOGS. The Air Force’s entire Texan fleet was grounded for nearly all of February after 13 pilots at three bases had unexplained physiological events during the last week of January. The Air Force still hasn’t found what is causing an ongoing series of incidents involving hypoxia and other unexplained physiological events, Gen. Dave Goldfein told lawmakers Tuesday. Pilots suffering these problems report experiencing shortness of breath and disorientation, which can be extremely dangerous and lead to confusion, faintness or even loss of consciousness. These conditions include hypoxia, or too little oxygen in the body, or hypocapnia and hypercapnia, conditions when the bloodstream has either too little or too much carbon dioxide. Kwast said the Air Force has found UPEs tend to happen more often at bases where contractors maintain the planes, and less often when there are government maintainers. It’s possible the government and contract maintainers may have slightly different processes, which could lead to UPEs in the contractor-maintained planes, he said. For example, a government maintainer might cover a port before washing the plane, he said, but a contractor might leave the port uncovered, which could lead to moisture getting in the system and possibly contributing to hypoxia or other such problems. “That is a very nuanced thing that requires some real deep research to know what’s going on,” Kwast said. Kwast said the UPE incidents are still happening episodically in T-6s, and that investigators are looking for patterns to try to identify the source of the problems. He also said that the increased awareness and visibility of the UPE problem could be contributing to the increased reporting of issues like hypoxia, because people now know what to look for. It’s also led Kwast — a former T-6 instructor pilot — to reconsider some of his own experiences in the air. When Kwast looks back on his 650 hours in the Texan, he now realizes that he may have had some physiological incidents in years past that went unrecognized. But it also sometimes leads to confusion over whether a rookie pilot is actually experiencing a problem like hypoxia, or simple nervousness. “A young kid that’s brand new to this, gets in the aircraft, and it’s their first flight, they’re hyperventilating,” Kwast said. “And they go up, and they’re like, ‘I had an unexplained physiological event.’ And it’s really hard to know whether they did, or whether it’s just the fact that they are so new to this, they don’t know what right looks like, and they were hyperventilating." Without systems to precisely measure whether a pilot is actually having a problem like hypoxia, or simply nervous and hyperventilating, such incidents can get buried in the data alongside actual physiological incidents, Kwast said. This makes it even tougher for investigators to find the true root causes, he said.